WHAT ARE eSMARTCODE TAGS & LABELS? Losing your valuable items is traumatic – luckily the world is full of honest people who will go out of their way to return found items – 86% of people make every effort to return found items. In an Emergency eSmartCode our Windscreen Decals provide a link to Next of Kin. eSmartCode have created a simple, safe and cost effective passive tag for all of your precious pets & items with complete anonymity and yet providing a simple method for the finder to let you know where you can recover them or in an emergency provide a link to your next of kin. The technology is in the cloud. You simply purchase a set of labels and activate them instantly on the website eSmartCode.com – you are asked for two mobile numbers and the ID Code is then linked to those numbers and your chosen language. Your Labels & Tags are now active and can be attached to your important items or placed on your Windscreen. 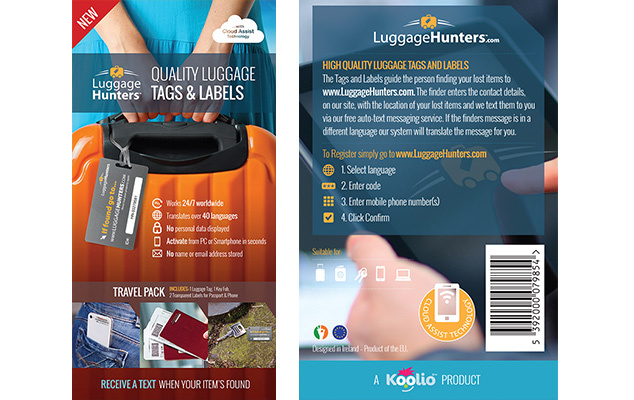 Each Smart I.D pack contains a luggage tag, a key fob, and 8 quality labels. Pet packs contain a metal pet tag and other packs contain a selection of labels. The Decal pack contains 2 window decals. (Delivery charge €2.50 p&p worldwide.) Contains a luggage Tag, key fob and 8 labels. 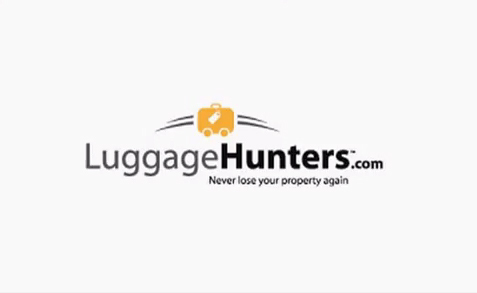 eSmartCode have created a simple, safe and cost effective passive tag for all of your precious items with complete anonymity and yet providing a simple method for the finder to let you know where you can recover your property. The battery free tags and labels are on your pet or possessions and the technology is in the cloud. If you have used up all of your text allowance on your tags/labels or your texts have expired you can purchase an additional 10 texts here. Simply enter the code from your tags and click buy now. Each set of tags or labels come with 10 texts and these are valid for 12 months from registration after that you can top-up or add new text credits on eSmartCode.com. Find something? Emergency? You can simply dial the Police from any phone and provide the Smart ID Code. 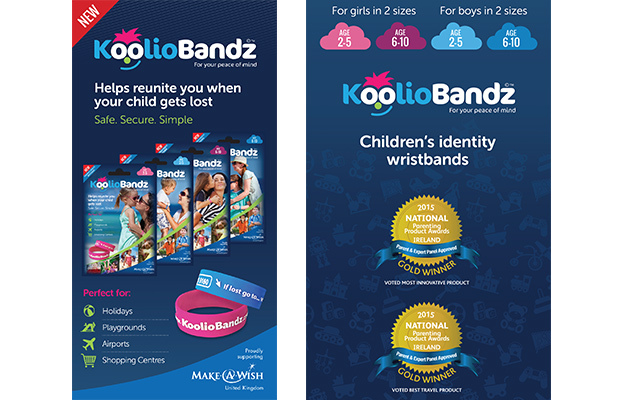 You simply purchase a set of eSmartCode Tags and Labels and activate them – HERE on the website – (mobile or desktop) you will be asked for two mobile numbers and the ID Code this is then linked to those numbers and your language – It’s that simple – your tags and labels are now active and ready for use! 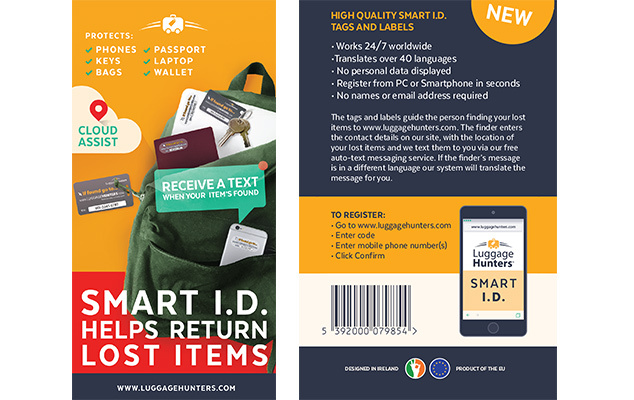 When a lost item or pet is found, using their smartphone or PC, the finder goes to the website eSmartCode.com and chooses their native language from the list and enters the code on the tag or label. They then type a message letting you know where you can collect your item or pet and sends the message – our system then sends a text message (SMS) to you in your chosen language. (The sender never sees your mobile number). If they don’t have a smartphone they simply ring the Police and provide them with the ID Code from the label or tag. eSmartCodes work worldwide. They allow people who speak different languages to communi-cate. A Spanish person finding a lost item can send a message in Spanish to owners who speak english, the system will translate for them. eSmartCode never asks for your Name or Address. We only ask you to provide two mobile phone numbers (to receive SMS texts on), your preferred language (to translate to) and the code from your eSmartCode Tag. eSmartCode tags are passive devices and contain no batteries. 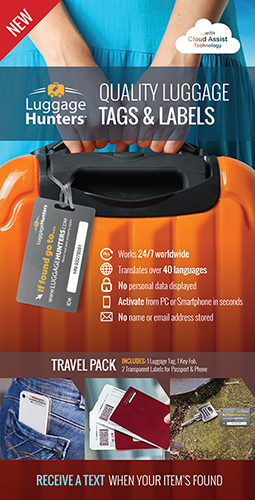 Carry-on luggage not in the Worldtracer® system is is protected by eSmartCode tags . The tags and labels are hard wearing, resilient and attractive.They do not contain any GPS. 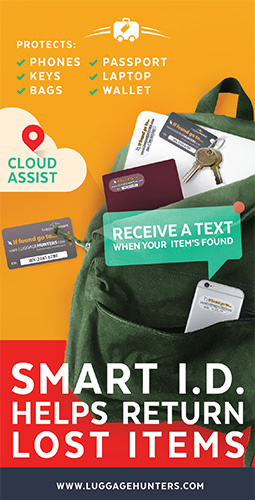 eSmartCode Tags use cloud technology to get a message to you instantly in the event a lost item belonging to you is found or In Case of Emergency. We put the technology in the cloud not on the device. eSmartCode Tags are inexpensive - attract a small annual charge - no monthly fees. There are no costs to the person finding a lost item or the first responder and no cost to you to receive a notification - anywhere in the world. Remember you can top-up here at our website. Buy a set of eSmartCode Tags today! for your Car, Home, Caravan etc.